InsiderSecurity is honored to be a panel speaker on cyber security in the ASEAN Bankers Association conference on 3rd July 2017 in Yangon. The conference is on “Building Digital Infrastructure for Inclusive Banking”. 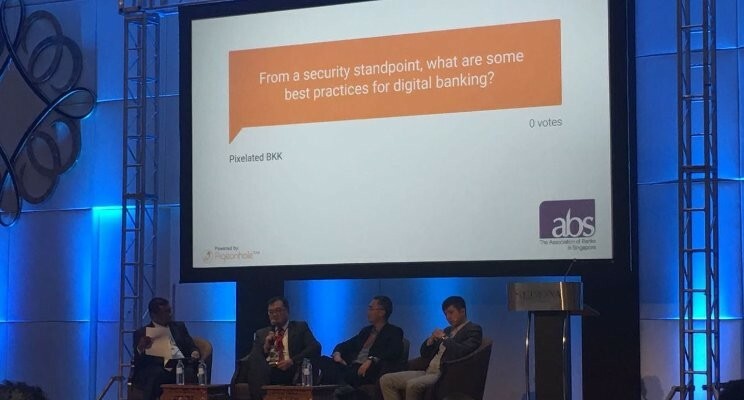 David Ng from OCBC gave an wonderful example of how OCBC (and other banks) can move fast and innovate today without compromising cyber security. His motto is “Safe to Fail”. This creates a culture that encourages experiments (for fast learning), while putting in place measures that cap any downsides or losses. Chiang-Kai from V-Key gave excellent insights on mobile threats, especially given the importance of mobile banking today. I especially like his comparison of the old cyber security model to a “castle-moat”, that is insufficient for modern threats. I shared some of my thoughts. The biggest threat in cyber security in the next 5 years is the same biggest threat that we had in the past 20 years : it is the threat of IT complexity. Today a single line of written code is compiled into hundreds of thousands of machine code, and nobody fully understands what is inside these machine codes. If we can design IT systems to be as simple as possible WHILE not introducing single points of failure, that we will be able to greatly reduce the number of vulnerabilities and white hairs on cyber security people. Thanks David Ng, Chiang-Kai, Thangaraja Nada Raja of PWC Singapore, and the audience for a fantastic discussion!